Ascension is restructuring as it pursues a new strategic direction, hinting at transitioning from a hospital-oriented system to one that's focused on outpatient care and telemedicine. That's what the largest Catholic health system told its 165,000 employees early Friday morning via a video featuring Ascension CEO Anthony Tersigni that Modern Healthcare has exclusively obtained. 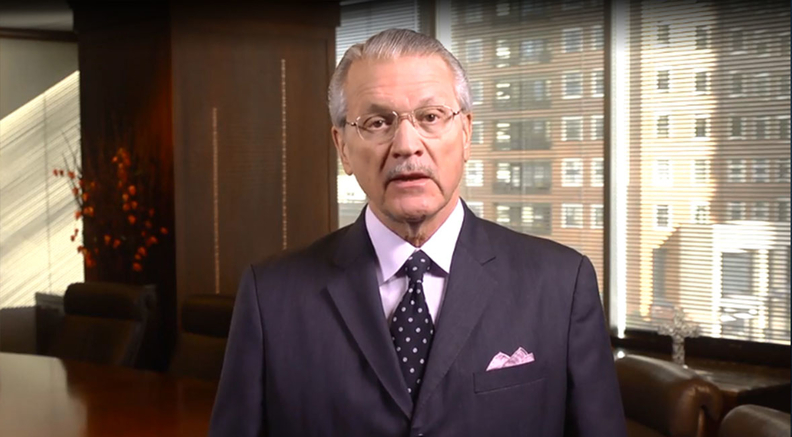 Earlier this month, the Ascension board of directors unanimously endorsed its new "advanced strategic direction," Tersigni told his employees, as it faces dwindling reimbursement from government and commercial payers; growing regulatory complexity; skyrocketing pharmaceutical costs; shifting from inpatient to outpatient care and from fee-for-service to value-based care; and increasing competition. He mentioned a "dual transformation" intended to "transform current healthcare delivery operations to meet the challenges presented by the rapidly changing environment, and to safeguard a sustainable presence in its communities that responds to the changes in how people are accessing care. At the same time, we must create new, transformational care delivery models for the future to extend the reach of our national health ministry." Tersigni outlined a range of changes the St. Louis-based health system has made. Ascension has reduced administrative costs by $400 million by realigning leadership and organizational structures. It expects to reduce these costs by another $61 million in fiscal 2019. The company has used volume purchasing, national contracting, expense and waste reduction, and in-house staffing solutions to improve its operations and cut costs. Ascension expects to save $57 million a year by "aligning its pay practices," which involves eliminating inconsistencies and following common benchmarks and management practices. The 151-hospital health system has implemented new staffing models and productivity standards for nurses and other caregivers as well as for nonclinical positions that align with other Ascension facilities. It continues to develop the Ascension Ministry and Mission Fund, which invests in programs to retrain and develop associates. Ascension instructed its leaders and associates to limit business travel and in-person meetings and to hold meetings virtually, when possible. Tersigni also said he and the executives who report directly to him have taken pay cuts. The company did not clarify whether this strategic shift means more layoffs are coming or that it would continue to sell hospitals. Executives are expected to elaborate at the American College of Healthcare Executives' 2018 Congress on Healthcare Leadership Conference Monday in Chicago. Ascension has invested significantly in its ancillary businesses including revenue-cycle management through R1 RCM, which Ascension owns a part of, as well as its investment arm Ascension Ventures. It is also forming a generic-drug company with Intermountain Healthcare, SSM Health and Trinity Health. "We are in the midst of major transitions, not only in how we provide care, but in how we are reimbursed for the services we provide," Tersigni said in the video. Ascension recently completed its acquisition of Presence Health, a Catholic health system with 10 hospitals in the Chicago area. Presence will operate in a joint venture called Amita Health that Ascension shares with Adventist Midwest Health. It is also rumored that Ascension is exploring a merger with Providence St. Joseph. Ascension reported $552.69 million in income from operations on revenue of $22.63 billion in 2017, down 27% from $753.2 million in operating income on revenue of $21.9 billion in 2016. Its total operating expenses before impairment, restructuring and nonrecurring losses increased to $21.89 billion, up 5% from $20.9 billion in 2016, according to Modern Healthcare's financial database. But Ascension saw a major boost in its non-operating income, which was $1.31 billion in 2017, up from a $275.45 million loss in 2016. Through the first half of Ascension's fiscal 2018, which began June 1, 2017, the system's operating income dropped to $84.66 million on revenue of $11.3 billion, a 78% decline from $379.64 million of operating income on revenue of $11.43 billion. This was primarily due to the divestitures of St. Joseph Hospital and Door County Hospital, the company said. Ascension's inpatient and emergency room volumes both declined more than 4% as its operating margin fell to 1.4%, down from 3.8%. Its operating expenses increased slightly to $11.17 billion in the first half of the company's fiscal year, up from $11 billion over the same period the prior year, while the company's cash and cash equivalents dropped 21% to $473.28 million. Its net non-operating gains more than doubled to $923.2 million over that time, which boosted its net income margin to 8.2%. As Ascension pivots to population health management and looks to standardize operations, it experiences continued declines in volumes, rising costs and increased uncompensated care, the system said. Some of the restructuring has led to laying off about 500 employees at 14 of its hospitals in Michigan, including 20 executives or managers.